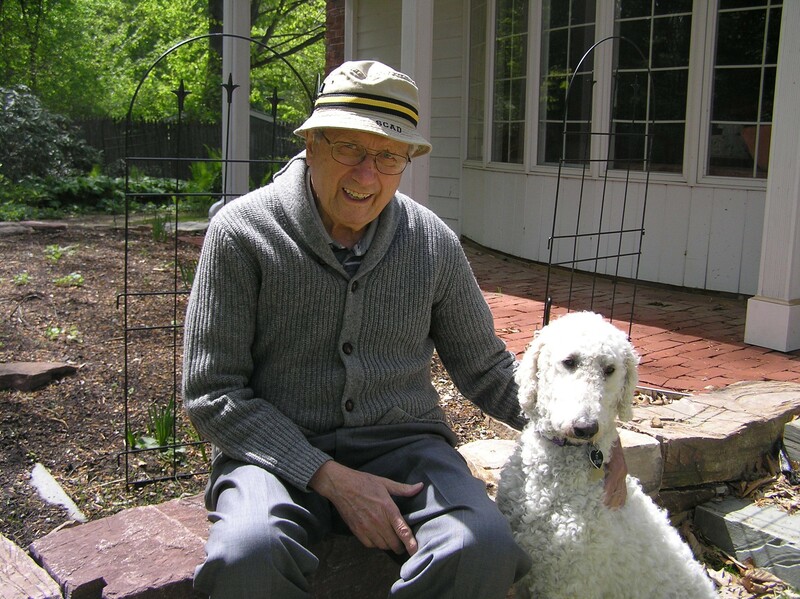 Albert Joseph Perrelli of South Burlington, passed away peacefully at Vermont Respite House on July 29th at the age of 97, ten months almost to the day after his beloved wife, Dorothy. Al was the youngest child born to Calabrian immigrant Dominic Luigi Perrelli, and Mary Padula of Cicero, Illinois. He served in the Pacific as a Lieutenant in the Navy during WWII on the USS Sargent Bay. While on leave during the war, Al married Dorothy Thomsen, the daughter of the boarding house mother where he took his meals when attending University of Illinois, Normal. Al’s professional life began in the Midwest in Ferndale, Michigan, then Hinsdale, Illinois where he was Assistant Superintendent of Schools. After completing his PhD at Teacher’s College, Columbia University, Al launched the family on a lifetime of world travel when he joined a team of educators from TCU, and moved to New Delhi, India in the early 60’s. After three years helping develop curriculum for Indian public schools, he became Director of the American International School in New Delhi. Al also was Director at the International School of Brussels, and in Mandeville, Jamaica. Although his professional career was cut short by health in the early 80’s, Al continued to volunteer in educational enterprises and classrooms, including board membership at the Penn Center in Beaufort, South Carolina. He once said that when looking back at his career, what mattered most to him would be to know that his life’s work had some positive impact on the educational experience of both students and teachers. Al and Dorothy were married 71 years, and were, as individuals and a couple, a model and inspiration to their family. As a neighbour recently put it- you knew just by looking at them that they still wanted to be together. Al loved and honored Dorothy, and it was never so obvious than in his extended toast and reminiscence of their life together at their 50th wedding anniversary celebration in 1994. Al was completely dedicated to Dorothy as caretaker and cook in the last decade of her life when her health was failing and frequently precarious. This loving care enabled Dorothy to enjoy her final years at home, and to live to meet her great-granddaughter, Emily. Al and Dorothy had a shared and strong sense of and responsibility to family, and, over the years frequently orchestrated bringing the family together for events and celebrations, including the family in Italy. While frugal at home, Al and Dorothy were generous to a fault with family and social causes they supported. Busting the demographic norm, Al was ‘feelin the Bern’ at 97. While a tablet was more than he wanted to try and learn, he was proficient at email and texting, and enjoyed having video chats with great-grandchildren, and friends and family in Italy and India. As the last surviving child in his family for many years, Al was looked up to by all as a smart and caring patriarch. People who knew him described him as noble. As a husband, parent, grandparent and uncle, he loved quietly but unconditionally. Our hearts are broken. Al is survived by his children Daniel Perrelli of California and Tena Perrelli of South Burlington, grandchildren Nate Venet of Winooski and Ursula Seymour and her husband, Robert Seymour of New York, great-grandchildren Emily Marie and Jack William Seymour, ‘special bonus’ great-grandchildren Bobby, Ashley and Matt Seymour, nieces and nephews Thomas Dorris, Catherine Perrelli, Mary Louise Baumgartner, Vincent Perrelli, and Barbara Ellen Richardson, many grand and great-grand nieces and nephews, and cousins Gloria Perrelli, Rosemary Padula and Maria Teresa Costabile. A note of appreciation also goes to Danny Curtin of New York, who provided support and friendship to Al especially in his final year. Al was predeceased by his wife, Dorothy Marie Perrelli, his brothers, Rocco Perrelli and Salvatore Perrelli, his nephew Michael Perrelli, Sr., and niece Mary Anne Perrelli. Many of Al and Dorothy’s furnishings will, at Al’s request, be donated to Green Mountain Habitat for Humanity, and donations in their name are welcome. There will be no memorial services.